Skilled hands make great cigars. 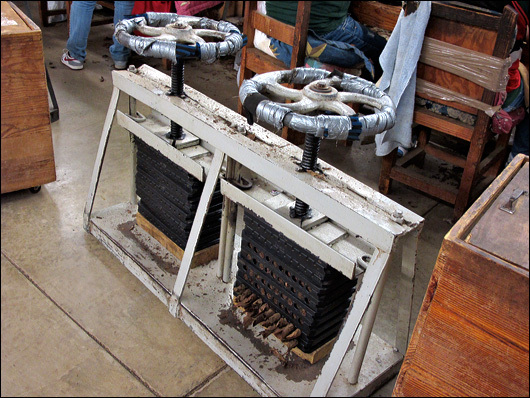 Watching this torcedora at the Matasa factory in DR is mesmerizing. 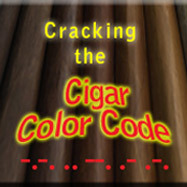 Her fingers seem to dance as she massages the wrapper onto the cigar. 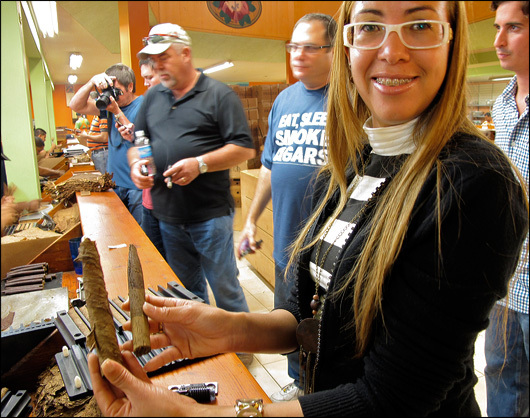 At a rate of one cigar per minute, she can crank out around 400 cigars a day. 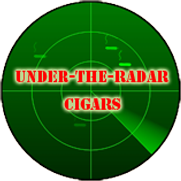 Some work even faster yielding up to 600 cigars per day. Cigar rollers work in pairs. Next to this torcedora is someone who bunches the tobacco and inserts the hand-formed cigars into a cigar mold. 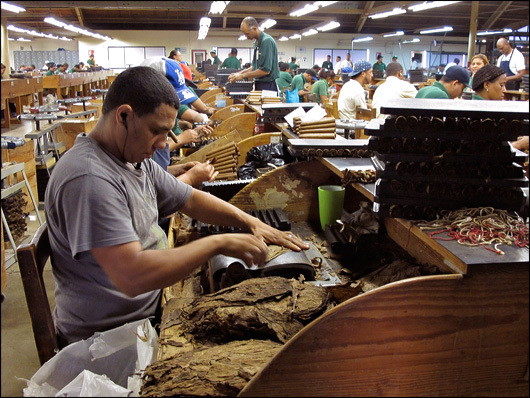 Once pressed into its cigar shape, the roller takes a cigar from the mold and applies the wrapper.